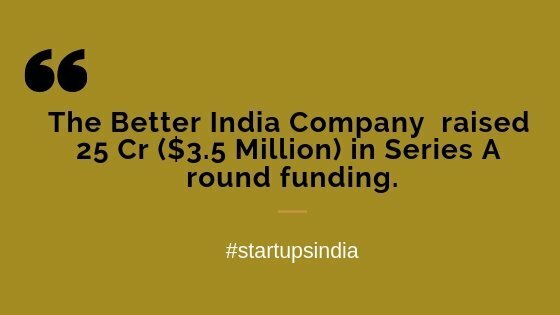 Bangalore based startup The Better India Company has raised 25 Cr ($3.5 Million) in Series A round funding led by venture capital firm Elevar Equity, and the company is trying to build its scale in e-commerce vertically. In the year 2008, both husband-wife (Dhimant Parekh and Anuradha Kedia) are started the online media, and its registered in the year 2015. 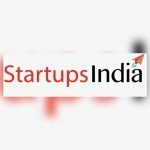 The Better India company, highlighting sharing ideas and environmental issues, especially use media & technology to help people do good faced by the micro, small & medium enterprises and a few months back the Better India forayed into the e-commerce vertical. MSME community puts a lot of effort to bring out the products in the market to reach the consumers, sometime MSME decided to experiment by featuring their products and allowing the community to buy as well, and procure products from low-income groups and sell online. The products include clay water bottles, sustainable bamboo products, wallets from used types, footwear from discarded footwear to generate the revenue for the better India Parekh told. The Better India e-commerce Products are being at the development phase. However, it is accepting orders from various cities such as Bengaluru, Mumbai, and Delhi. The platform currently has over 1,550 products with 150 MSME vendors on board.